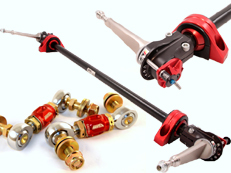 We just got new inventory in of our ProRIGID End Links and SwitchBlade Sway bars! Check out what the latest in technology has to offer for your performance driven Camaro here! PROVEN1 Feature in Camaro Now Magazine! 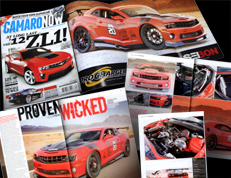 Our 2010 Camaro "PROVEN1" is featured in the Summer 2011 Issue of Camaro Now magazine. We scored a nice 5 page feature AND the centerfold pull out poster! Check it out online here. 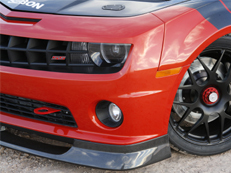 New Products on PROVEN1 at SEMA! Proven Wicked is proud to annouce the race inspired test mule to be featured in Seibon Carbon's booth at the 2010 SEMA show. We will be showcasing some of our new protoypes complimented by all our chosen vendors and sponsors products. Check back frequently to the Projects section to follow the progress of the build. 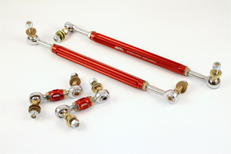 We are approaching the end of production of our new 2010 Camaro Pro-RIGID sway bar end links. 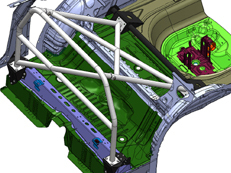 These are the most advanced links on the market that address all the possible issues with a clean sheet engineered design.